Inflatable bowling pins are blow up air sealed bowling pins, used for inflatable bowling games for both adults and kids. They can be small or large. Large ones are called human bowling pins, when you wanna play human bowling game with a zorb ball, then you need those human size inflatable bowling pins. 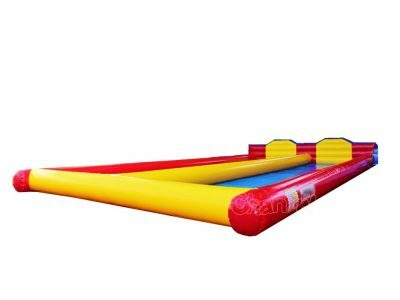 There are many ways to play and knock down those inflatables, like zorbing, sliding on a ramp, or trick shots with whatever rules and obstacles you make. 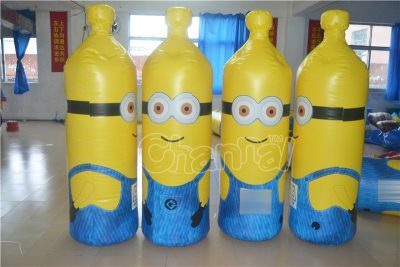 Inflatable bowling pin can be designed as normal white one as you see in the bowling alley, or would be made to be cartoon shapes, such as minions, penguins or snowmen. 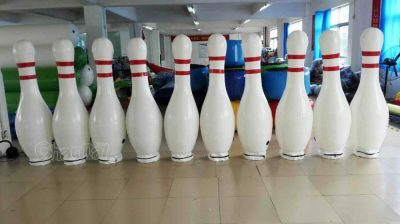 Channal Inflatables is a sophisticated manufacturer at making inflatable bowling pins for both indoor and outdoor activities and events. Contact us and inquiry us about the price of your styles and quantities, we’ll have a good deal. Wholesale will get more discount.